Kam before rescue...Tied outside on his own, he was malnutritioned and , in places, completely devoid of hair. 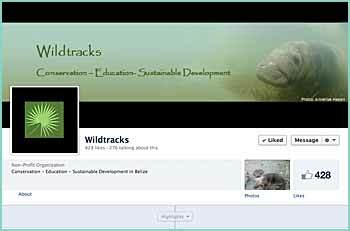 Pictures such as these, submitted anonymously to Wildtracks through a third party, are able to help us in rescuing individuals such as these and ensure that they have a brighter future, with the possibility of returning to the wild. 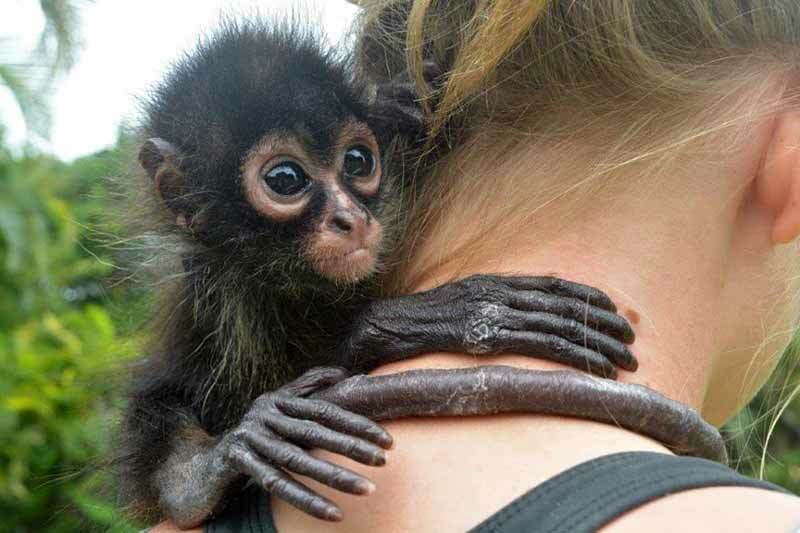 It's only when people start to stand up for these animals that we can truly say that people care. 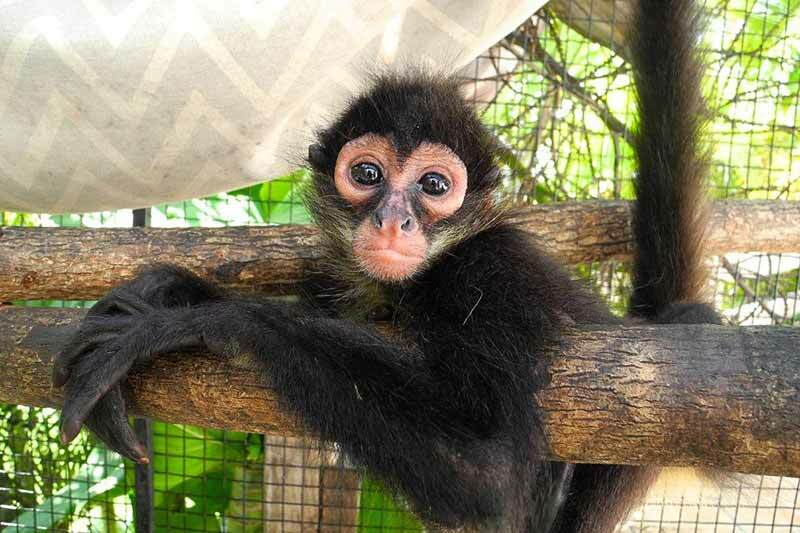 Early days at Wildtracks...Despite his very poor condition, it didn't take long for his cheeky nature to show through..
Kamal (shortened to Kam), an endangered Geoffroy's spider monkey, arrived in January 2016 - the most emaciated and sickly intake that Wildtracks has encountered. 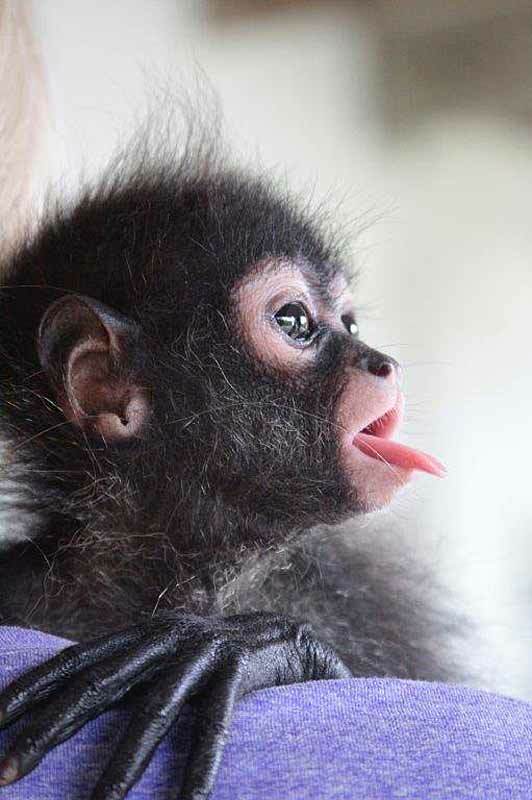 He was only ten months old when he was confiscated by the Belize Forest Department - skin and bones, and missing most of his hair from malnutrition and scabies. Far too young to be away from his mother, he was on his own, attached to a wire in someone's yard. Kam took time to put on weight. For the first months after arrival he was still skin and bones, terrified of sudden movements, and completely reliant on his carers. With the introduction of a diet of high nutrient milk formula, fruit and leaves, he gradually started putting on weight. 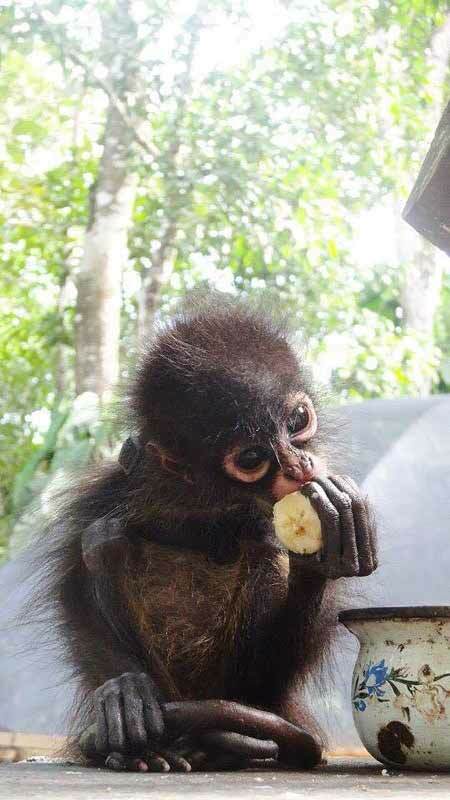 Kam is now healthy and happily integrated with Cas, another young spider monkey. Kam and Cas have now moved out of the Nursery Unit and into one of the Forest Enclosures. 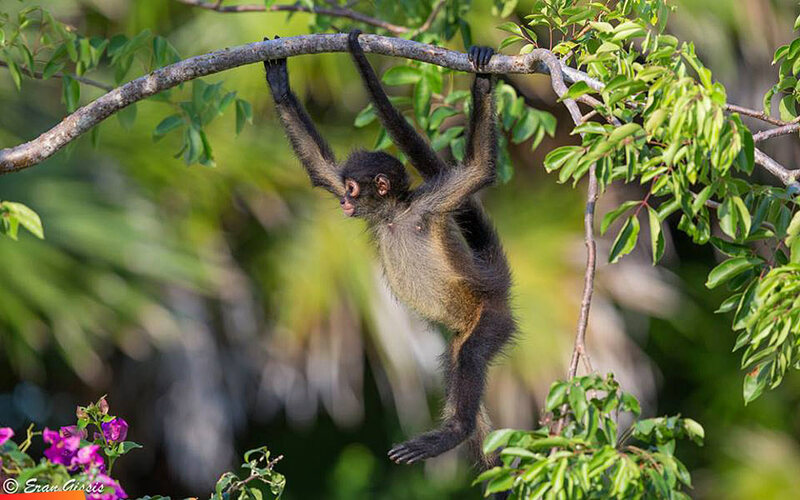 They have begun their integration with Chippa and Izzie, two of the younger female spider monkeys in the Spider Monkey Complex, with the hope that they will become a unit of four.